Ken and Wayne are back together and joined by a special guest this week. The author of the newly released novel, "The Sword of Dragons", Jon Wasik is on the show to tell us about being and author, publishing his first novel, and the characters and rules of his world. 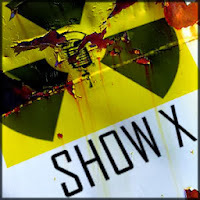 It is also Show X's 200th episode! unfortunately to help celebrate, Wayne's ISP decided to fall out from under the show and cause many breaks in the stream.